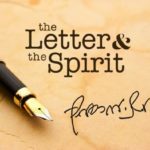 In preparation for Rosh Hashanah, during yemei teshuvah, we present a letter of comfort from the Rebbe to a mourner, where he explains the deeper meaning of teshuvah, as explained in Chassidus with particular emphasis on the saying that “the living should take to heart.” The letter, written originally in English, is from the archives of the Rebbe’s trusted secretary Rabbi Nissan Mindel. I was saddened to hear of the passing of your mother, a’h. May you not know of any sorrow in the future, but only goodness and benevolence be with you always. P.S. On the basis of our personal acquaintance, and what I have heard about you from mutual friends, I take the liberty of suggesting to you that in addition to Kaddish at the daily prayers, followed by Kaddish d’Rabonon after Mishnayos, as is customary, you also include a practical halocho, such as from the Kitzur Shulchan Aruch. This is of special importance in our day and age, and it has many worthwhile implications. Above all, it is a zechus horabim, coupled with a special zechus for the soul of the departed. Also, furthering adherence to the Will of G-d, especially by a person of influence, gives practical expression to yisgadal v’yiskadash shmei rabbo. I also wish to make a further point – in light of Chassidus – which gives a new insight into the concept of teshuvoh. Teshuvoh as interpreted in Chasidus does not mean “repentance” (which is only one aspect of it), but, as the word indicates, a return of the soul to its source and root. The “return” referred to here is not the return of the soul to its Maker at the end of the allotted years on earth, but its return to its true essence. As explained by the Alter Rebbe in his Tanya, ch. 31, this is achieved when the Jew is engaged in Torah and mitzvos, especially when it is permeated with inner joy and inspiration. For at that time, too, the soul “departs from the body,” in the sense that it abandons the bodily needs, inclinations and lusts. Moreover, at such time the soul actually involves the body in the spiritual exercise, inducing it too, to obey the Will of G-d, the Source of the soul and of all existence, so that not only the soul returns to its source, but it also takes the physical body along with it. The above provides an insight into what seems to be a somewhat incongruous observation by the Rambam, namely, that the period of mourning observed by a bereaved family has to do with Teshuvoh, as it is written, “But the living shall take it to heart.” One would expect that the first natural reaction of a person sustaining such a loss would be that of resentment and complaint. However, in light of what has been said above, it is understandable why, on deeper reflection, the shock of seeing a dear soul depart this life should induce teshuvoh. For this is a fitting time to reflect upon the opportunities which have been given to the soul to “return” to its Source while it is here on earth, housed in its body, and in this experience of teshuvoh to live a meaningful and happy life to a ripe old age. I trust there is no need for further elaboration on the above to you. A word of explanation. This entire piece has been written as a P.S. and on a separate sheet, not because it is of lesser importance than the letter preceding it. On the contrary. However, our Sages wisely reminded us that allowances should be made for a person in distress. The thought might just occur that – here comes a man, who is not a relative, and wishes to take advantage of a profound and unhappy experience in order to advance his ideals. For this reason this part of the letter has been separated from the first. But in truth the two parts are not really separate but intimately connected. Besides, and this is the main point, these ideals are not only mine, but also yours. To quote the Alter Rebbe again, “A Jew neither desires nor is capable of being separated from G-dliness.” Only circumstances sometimes obscure the truth. I believe with complete faith that this is the way to gratify the soul which is in the World of Truth, and I venture to say that you also share this belief. 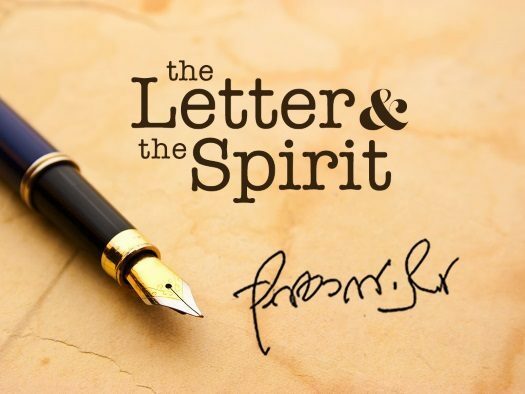 The above letter is from The Letter and the Spirit by Nissan Mindel Publications (NMP). 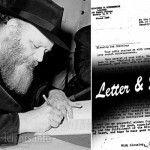 These letters were written originally in English and were prepared for publication by Rabbi Dr. Nissan Mindel, whose responsibility it was the Rebbe’s correspondence in English and several other languages. We thank Rabbi Shalom Ber Schapiro, who was entrusted by his father-in-law Rabbi Mindel with his archives and who is Director of the Nissan Mindel Publications (NMP), for making the Rebbe’s letters available to the wider public. May the merit of the many stand him in good stead.